This large format book (9" x 12") features a scholarly, illustrated Introduction with a brief history of the Charles P. Limbert Company of Grand Rapids and Holland, Michigan, together with unabridged reprints of the company's 196-page Catalogue No. 10 from 1908-09 and the company's 40-page Supplement No. 19 from 1915. Catalogue No. 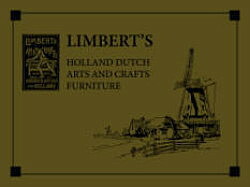 10 shows the full line of Limbert's distinctive Arts and Crafts furniture as of September 1908. Supplement No. 19 shows the company's rare Ebon-Oak line and its line of Arts and Crafts furniture using open cane that was launched at the same time. The book also includes six pages from the company's Book No. 117 (c. 1910) showing the company's "Flanders" line (mission furniture with turned-post elements) and eight pages of Limbert room settings in full color (as these pages appeared in Catalogue No. 10 and Book No. 117). 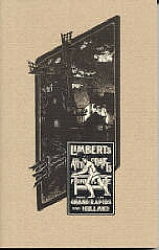 The book shows many Limbert forms not pictured in any other Limbert catalog reprints, including the one below. Softcover, 284 pp, see below to order. This revised edition includes the rare 1905 Limbert catalog featuring inlay work and the company's earliest designs, a 1911 supplement to Catalogue 14 that depicts seven rare and extraordinary lamps, and a portion of an original Limbert catalog that presents some exceptional forms not reproduced before. This edition gives a more complete record of the company's production and helps us to understand the significance of its contributions to the American Arts and Crafts Movement in the early years of the last century. In order to faithfully reproduce these catalogs, we carefully selected stock and graphics comparable to that of the period. Softcover, 208 pp, see below to order.